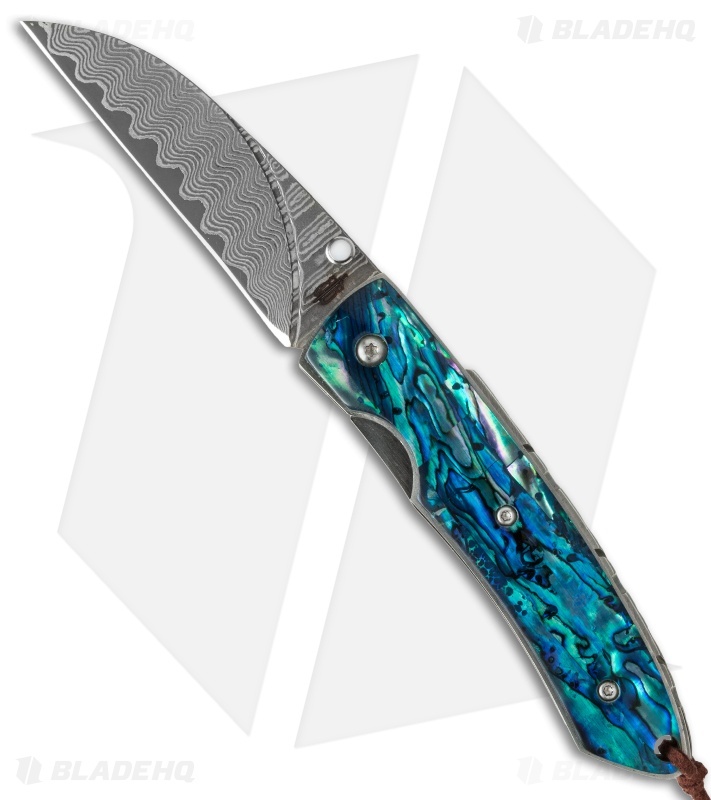 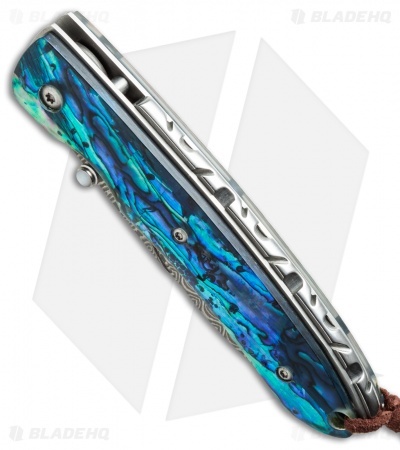 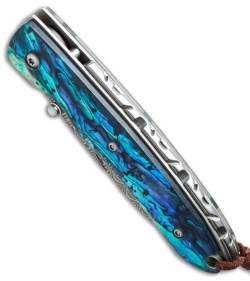 Gorgeously outfitted, the Abalone Tactical Folder is a collectible knife that won't be around long. 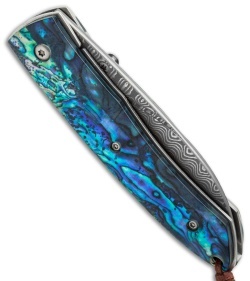 It boasts a VG-10 core Damascus steel blade and abalone handle with crowned, filed stainless backspacer sandwiched between the liner lock frame. Rare beauty can be yours.